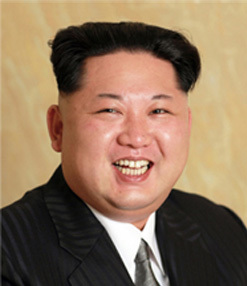 - Kim Jong Un is the supreme leader of the Workers’ Party of Korea, the state and the army. - Graduated from Kim Il Sung Military University in Pyongyang. 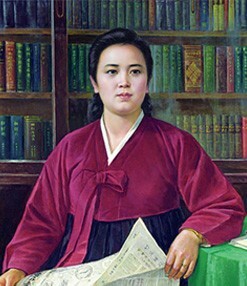 - Elected member of the WPK Central Committee in September 2010. 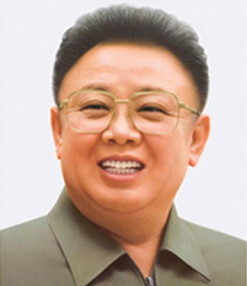 - Elected Vice-Chairman of the WPK Central Military Commission in September 2010. - Conferred the military rank of General of the Korean People’s Army in September 2010. - Appointed Supreme Commander of the KPA in December 2011. 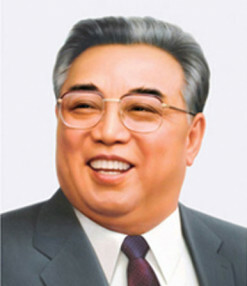 - Elected First Secretary of the WPK in April 2012. - Elected member of the Political Bureau and member of the Presidium of the Political Bureau of the WPK Central Committee in April 2012. - Elected Chairman of the WPK Central Military Commission in April 2012. - Elected First Chairman of the DPRK National Defence Commission in April 2012. - Conferred the title of Marshal of the DPRK in July 2012. - Elected deputy to the Supreme People’s Assembly (SPA) in March 2014. - Elected First Chairman of the DPRK National Defence Commission in April 2014. - Elected Chairman of the WPK at the Seventh Congress of the WPK in May 2016. - Elected member of the Presidium of the Political Bureau and member of the Political Bureau of the WPK Central Committee, and Chairman of the WPK Central Military Commission at the First Plenary Meeting of the Seventh WPK Central Committee in May 2016. - Elected Chairman of the State Affairs Commission of the DPRK at the Fourth Session of the 13th Supreme People’s Assembly of the DPRK in June 2016.